With the centennial of the U.S. entry into WWI on 6 April 2017, the Library would also like to commemorate the centennial of the Library War Service of the American Library Association (ALA), of whose books became the core collection of the American Library in Paris a few years later. 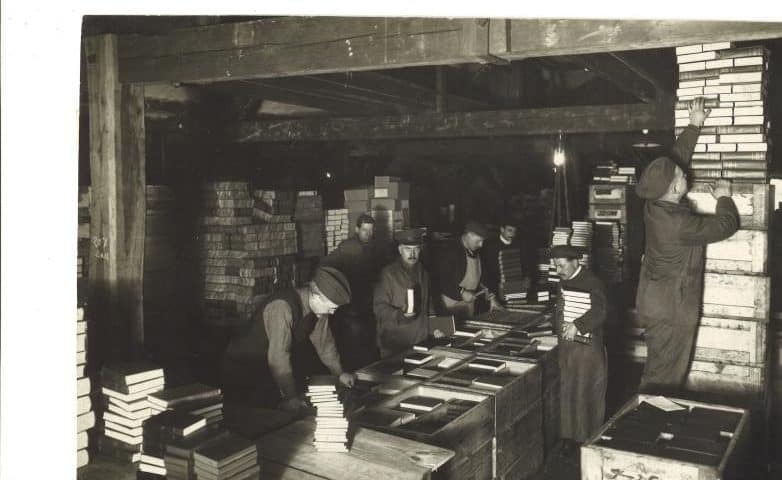 By the time of the signing of the Armistice, the ALA Library War Service had shipped 1.5 million books for the use of the American forces in the dozens of make-shift camp libraries in France. In an interesting article by the ALA Archives entitled “The Books They Read: Library War Service in WWI,” the types of books that the soldiers read, and they read a lot, covered all topics including technical subjects like “business, engines, plumbing and carpentry, and trains,” as well as books of poetry like The Hundred Best Love Poems and works by Dickens, Poe, Kipling, and Meredith. With the dismantling of the camp libraries after the war, many books were shipped to a warehouse, but a central reference library was opened in Paris that quickly attracted readers from the American expatriate community, demobilized American soldiers as well as French students and members of the Anglophone community in Paris. Burton Stevenson, the Ohio librarian charged with overseeing this huge operation, called for a meeting of the Temporary Committee of American Library Fund in November 1919 to discuss the future of the reference library in Paris. One of the first supporters was Charles Seeger, father of the poet Alan Seeger who was killed in combat and author of the poem “I Have a Rendezvous with Death.” After Seeger’s donation, many others followed from American, British, and French supporters. 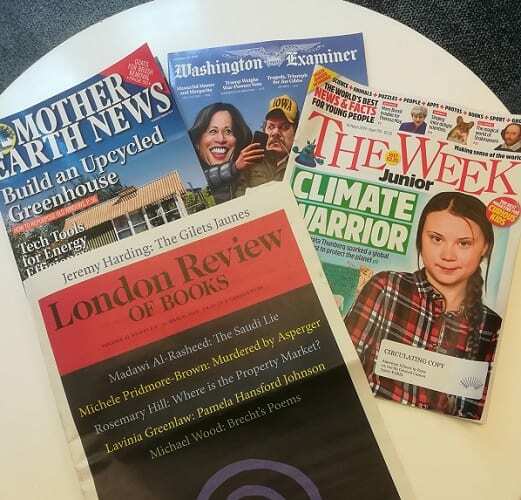 With this show of support and enthusiasm, the ALA established the American Library in Paris on 20 May 1920 as a private, non-profit organization at 10 rue d’Elysée in the 8th arrondissement with a core collection of 25,000 volumes and 115 periodicals. Recently, Abigail Altman, assistant director of reference and collections, participated in a round-table discussion on the American influence in French libraries at the 2017 Salon du Livre Rare. A more detailed account of that discussion will be posted at a later date. In the meantime, join us in our commemoration of the centennial of the U.S. entry into WWI and the ALA Library War Service by reading the Library’s interactive timeline or browsing our historical photo archives on the Library Tumblr. 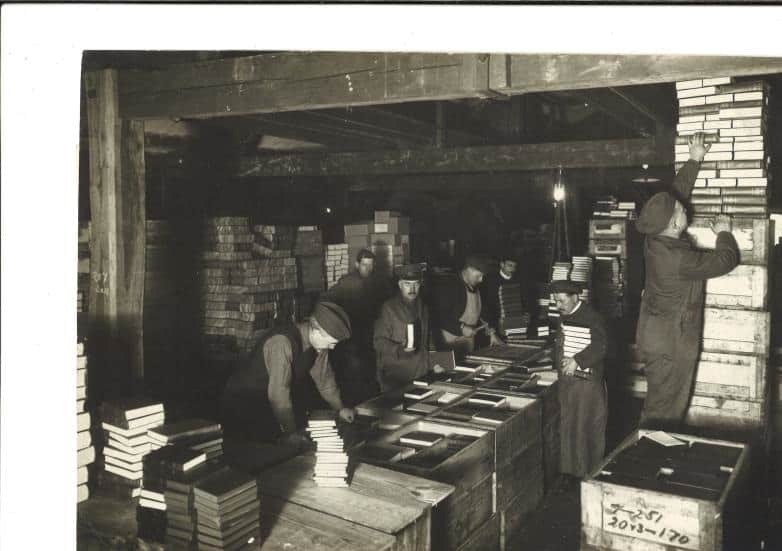 Photo: Workers unpacking boxes of books at the ALA warehouse, 1919.